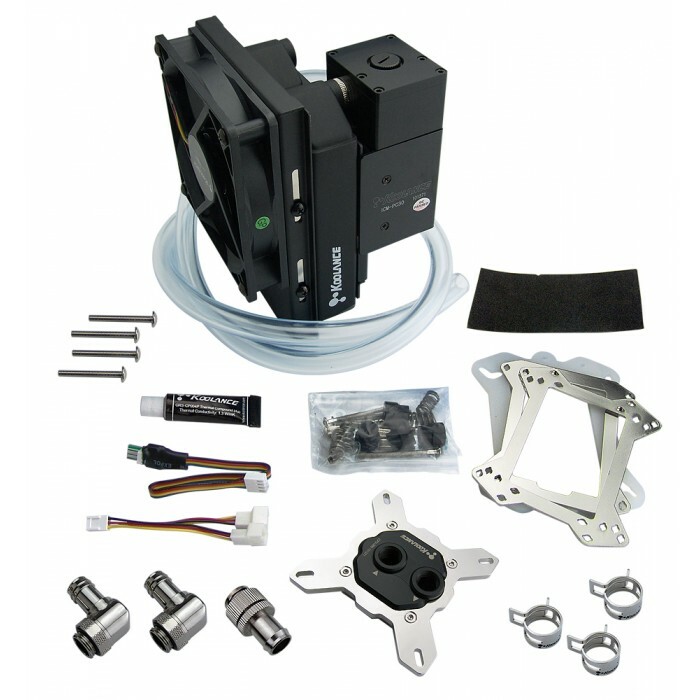 Koolance's DIY kit offers enthusiast-level thermal performance with an all-in-one form factor. 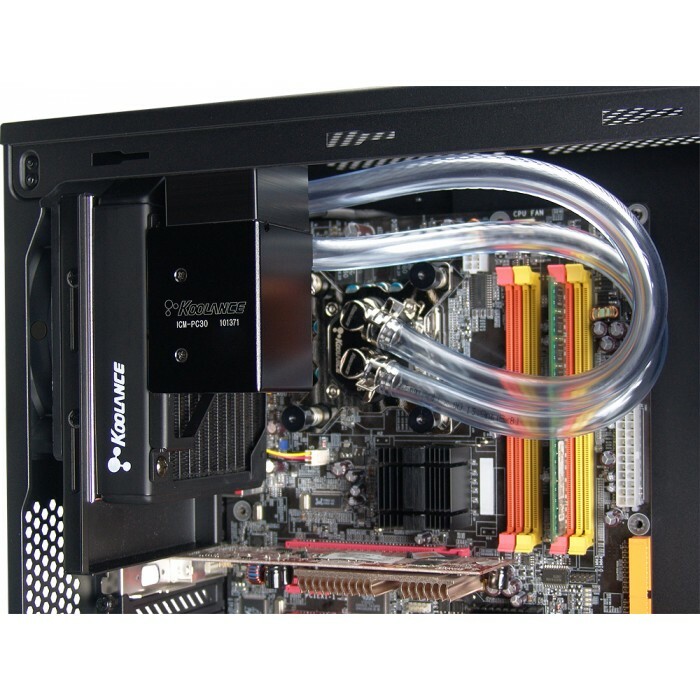 ICM-PC30A includes the top-rated Koolance CPU-380I (Intel) water block, copper 30-FPI radiator and fan, PMP-300 pump, reservoir, and all necessary fittings and tubing. 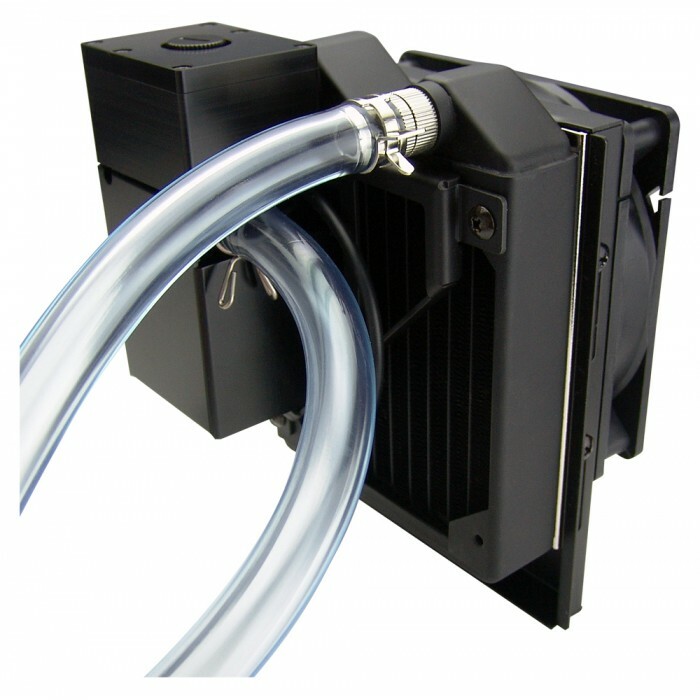 Simply select your desired coolant bottle (sold separately), and add some assembly. 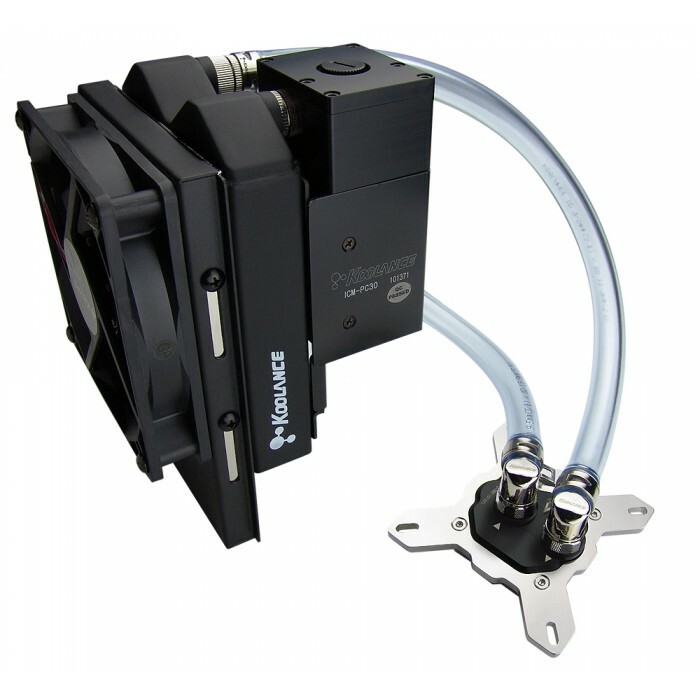 The kit's mounting bracket is adjustable, allowing a full size radiator and pump to fit most computer chassis with a rear 120mm fan location. NOTE: A 120mm fan location is required for mounting, normally in the rear of the computer chassis. For some types of chassis and motherboards, there may be other physical conflicts preventing this cooling unit from being mounted within the chassis (such as especially tall VRM heat sinks near the CPU socket). Please see cooling unit's diagram for unit dimensions.